Certain jobs around your home are a dirty business. But that doesn’t mean just anybody should do them. At Perimeter we run our business with integrity, honesty and fair pricing for a job done right. From drainage, sewer and waterline installations and maintenance, to video diagnostics, to same day service on construction mini bins, we guarantee you’ll get expert service from an accountable company. Read our reviews and feel free to give us a call. 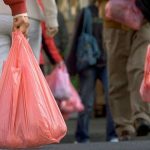 Why Aren’t Plastic Bags Recyclable In Vancouver?